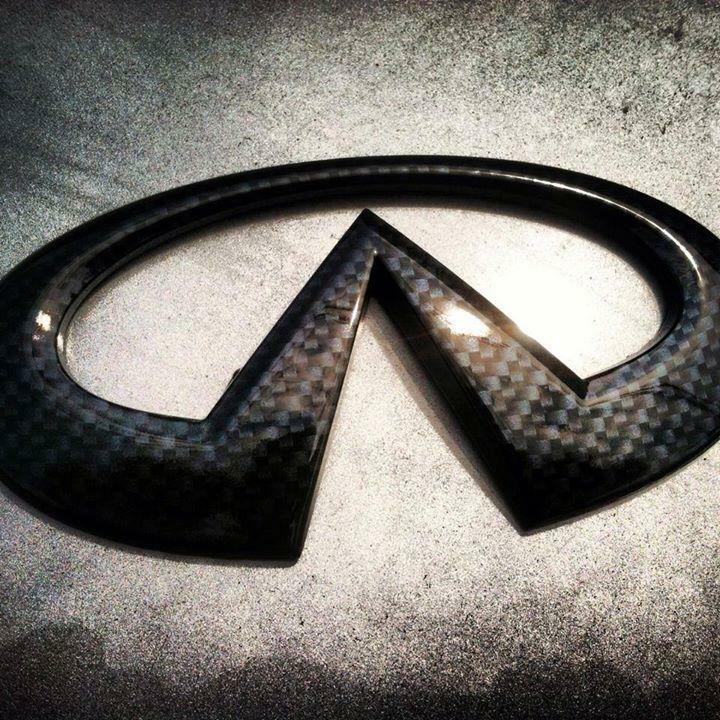 Hydrographics UNIVERSAL - Performance Auto Parts - Car and Truck Accessories | JM Auto Racing - Intensify Your Ride! 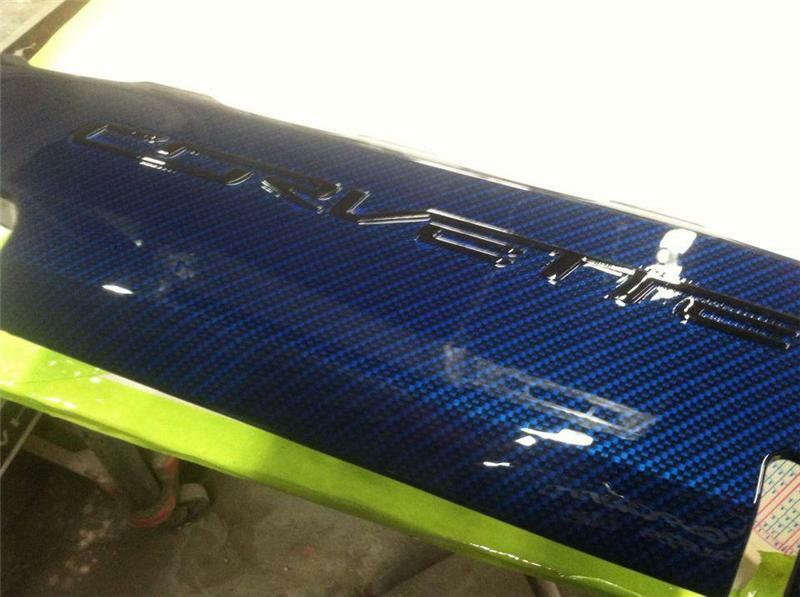 Hydrogrpahics All graphics can be done in any color both stock and custom. Full process takes roughly 4 days before items are ready for shipping. 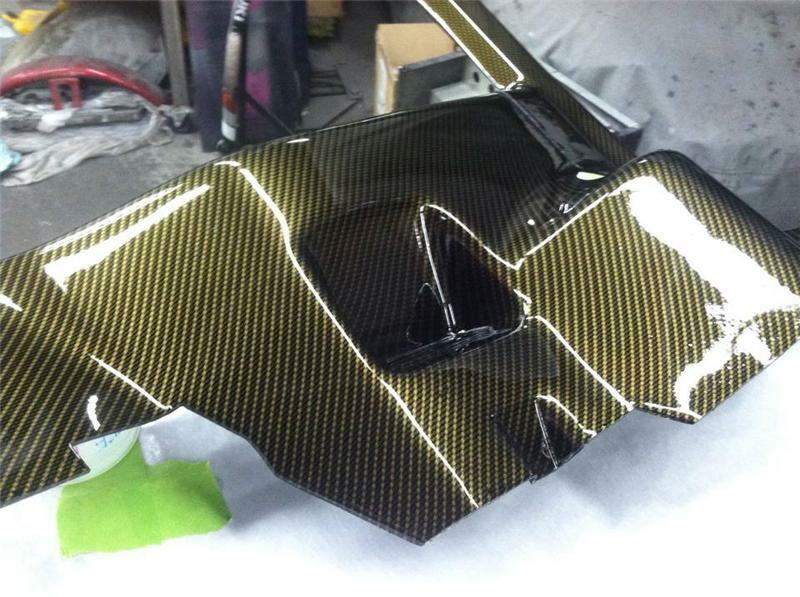 JM Auto Racing is proud to announce our newest line of service called Hydrographics. Hydrographics is specialized process that allows any object, whether it be interior, exterior or engine based designed to your specific pattern. 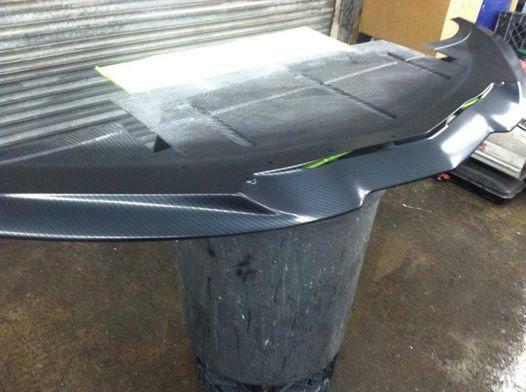 The process is water based and applies a specified film to any part that is 100% permanent and long lasting. 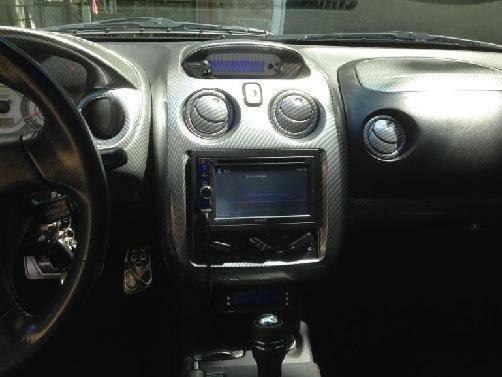 We can do anything from interior trims, dashboards, engine covers, turbos, fenders, hoods, just about anything you can think of. 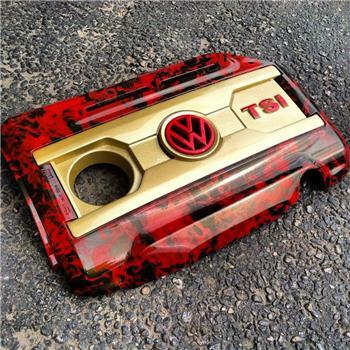 We can also do all other items besides auto parts including, cell phones, firearms, desktop items, tools and more. The benefits of this process are endless compared to similiar methods. Painting runs the risk of cracking and can cost an arm and a leg if done by a professional. 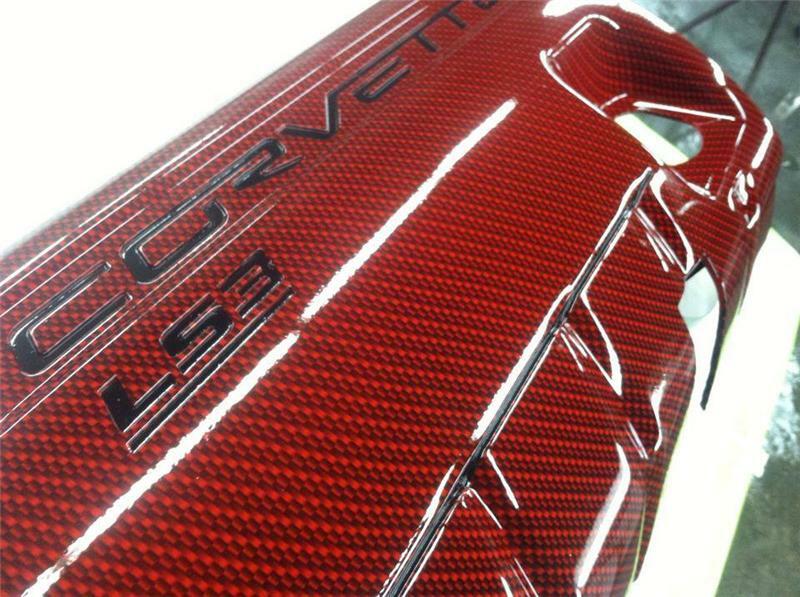 Vinyl wrap tends to peal and bubble and rip and also costs a ton if professionally done. 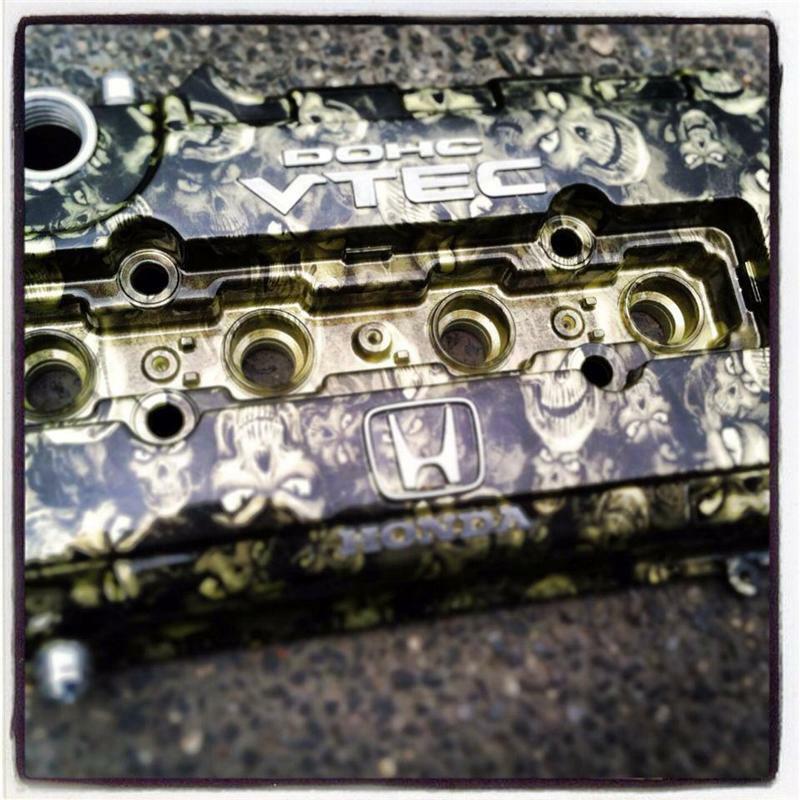 Hydrographics is the solution to all those problems. Our pieces will last forever. You will have a perfect, even and flat design no matter how many curves, bumps, bends or holes in the product. Our product can withstand extreme heat conditions, can be UV protected, will never rip or crack. We start by taking your item and have it prepped. We sand out any imperfections so the piece is perfect. 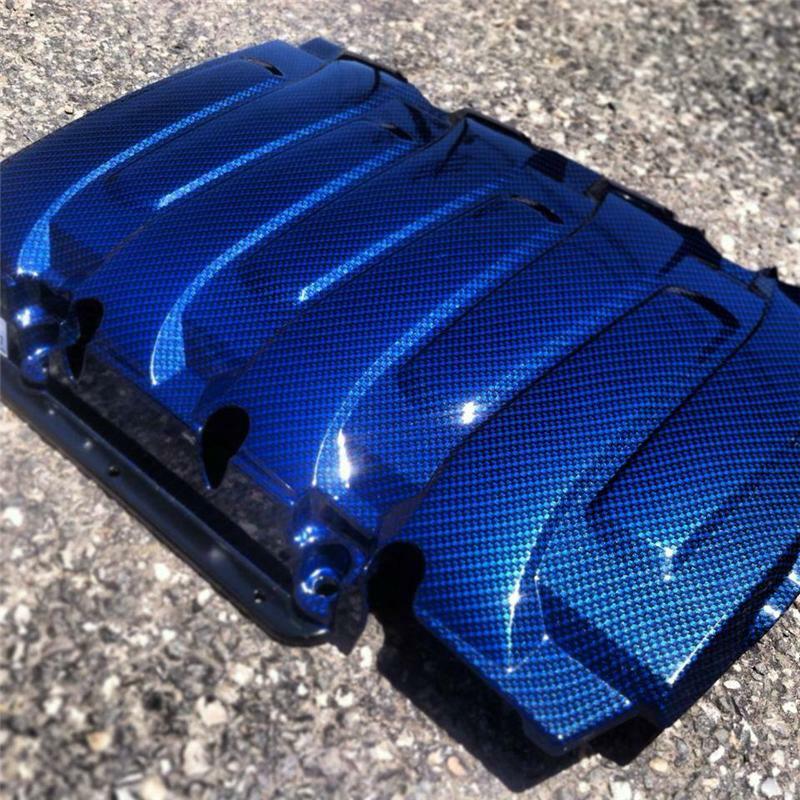 We apply a base coating of your choice. 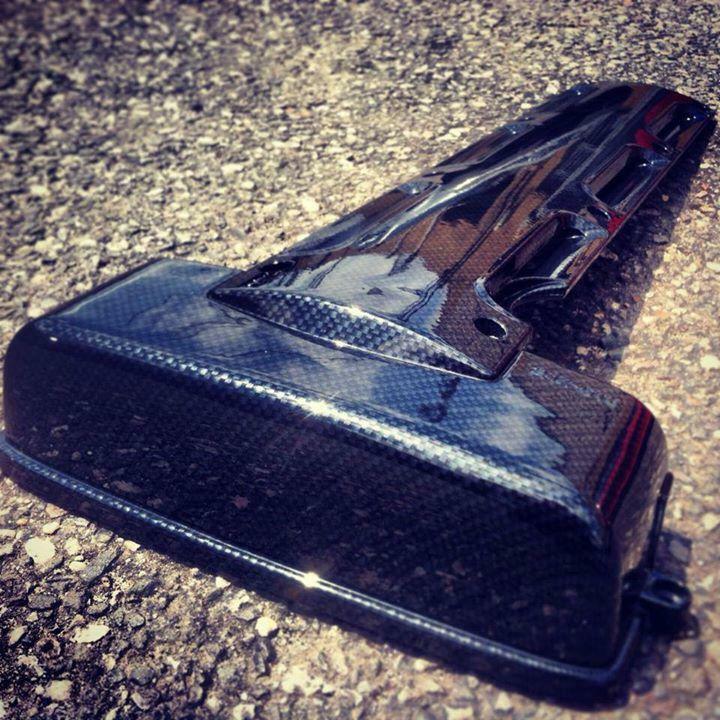 If you like the carbon fiber look, we can base it with a black. 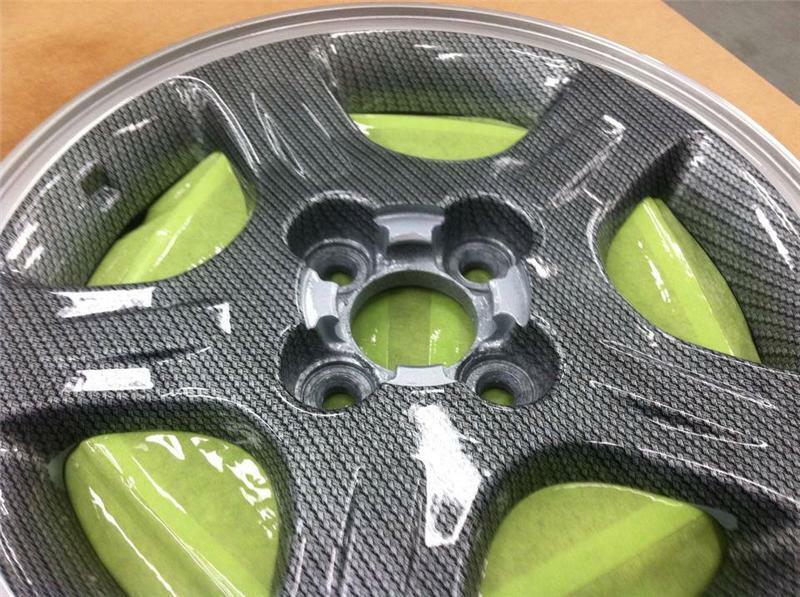 If you like matte carbon fiber we base it with a matte color. We can also do all color choices including red, yellow, blue, green, purple, white, silver ETC. 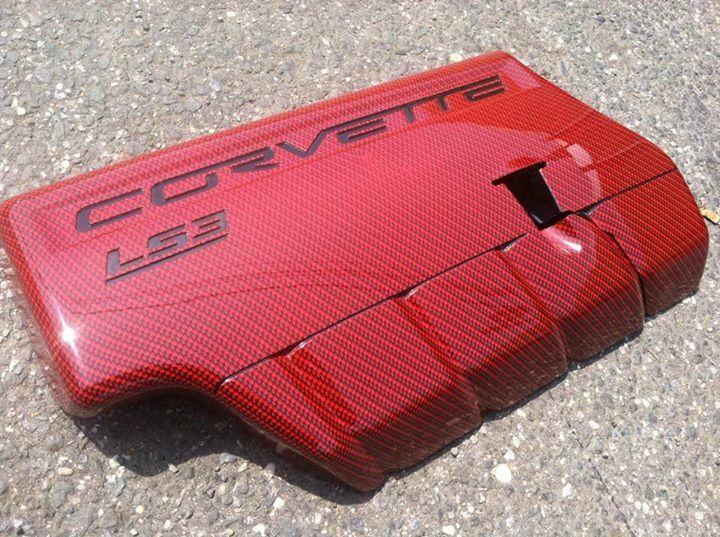 If its an engine piece we will use a high temp base in any of those colors. Once you have selected your pattern, we start the hydro process. Once its complete we clear this and wet sand it to give you a perfect finish that will last forever. All our products are fully warrantied and best of all its is affordable.